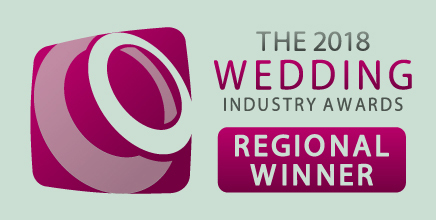 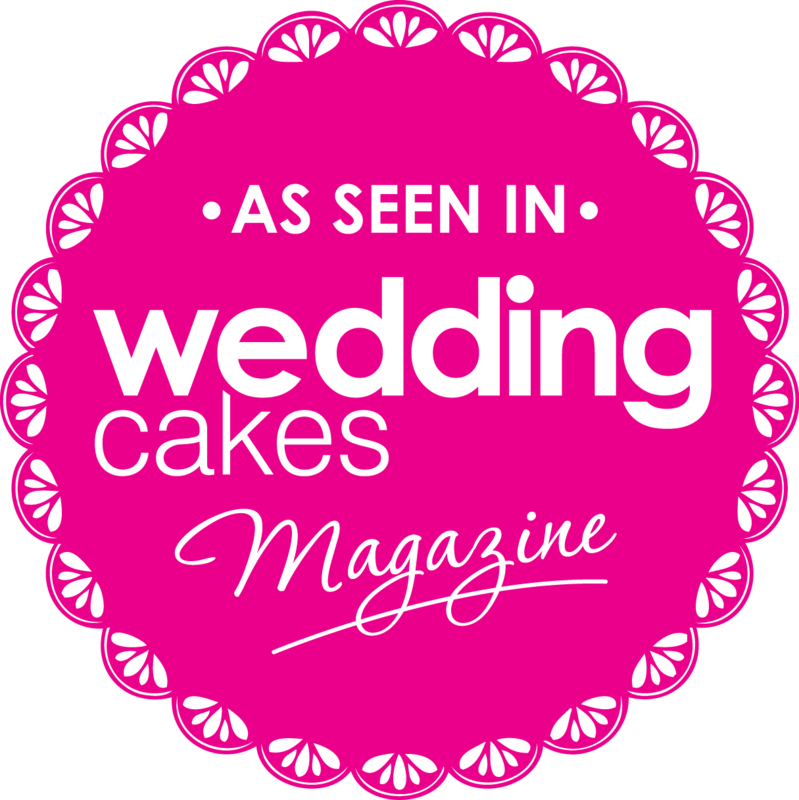 Suman & Aneil had a traditional Indian wedding held at the Kent County Showground. 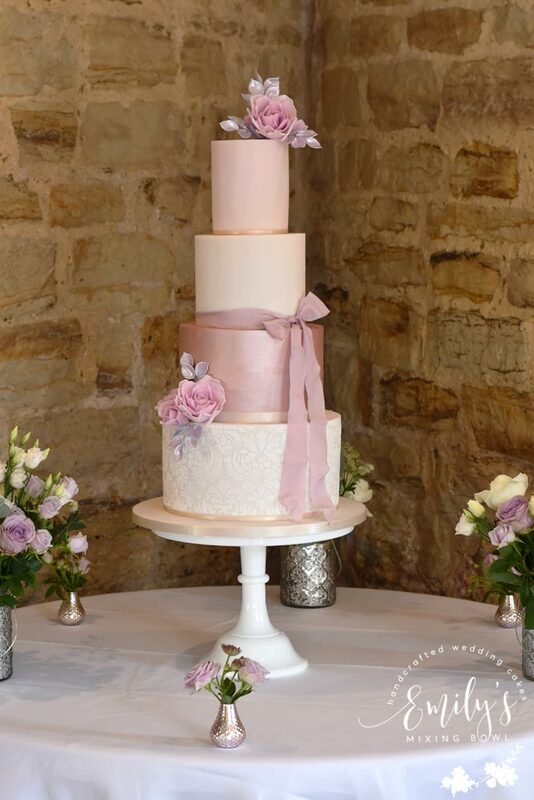 It was the biggest wedding I had ever supplied with 700 guests in attendance so this called for a large 5 tier square cake. 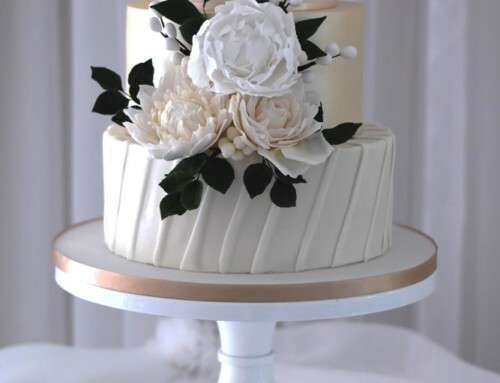 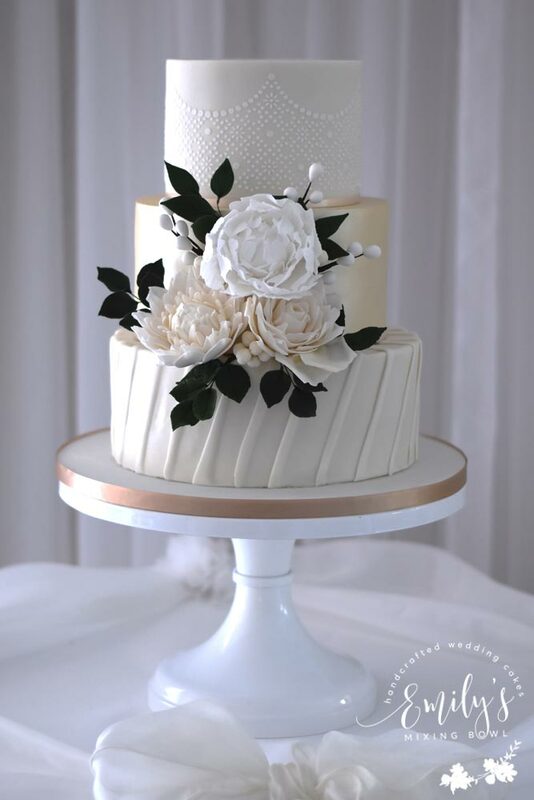 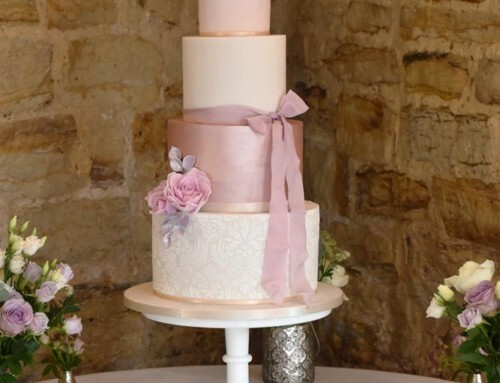 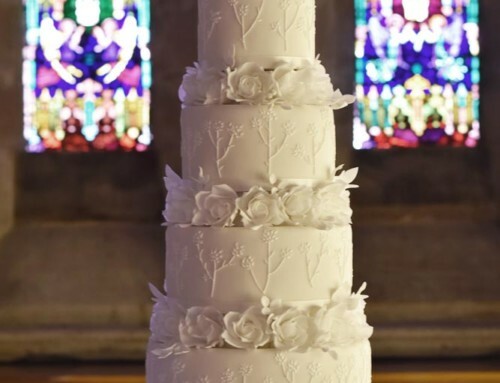 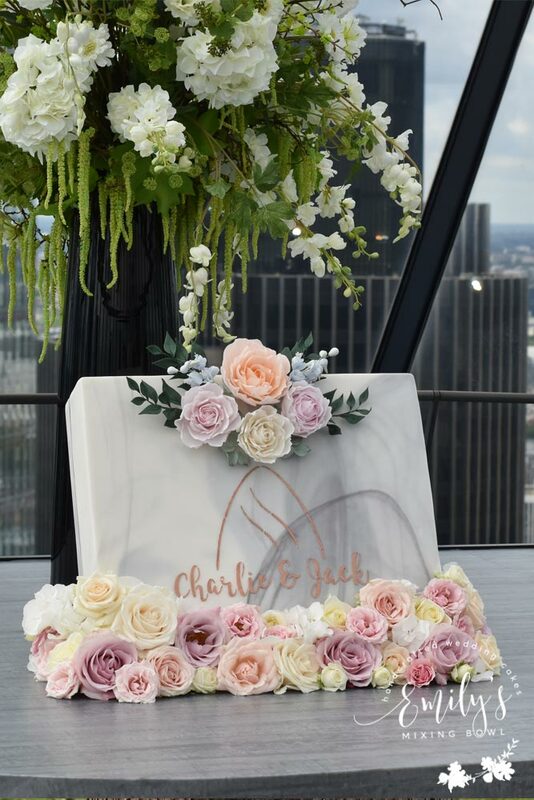 The design of the cake also included separator tiers which increased the height further making it the tallest cake to date. 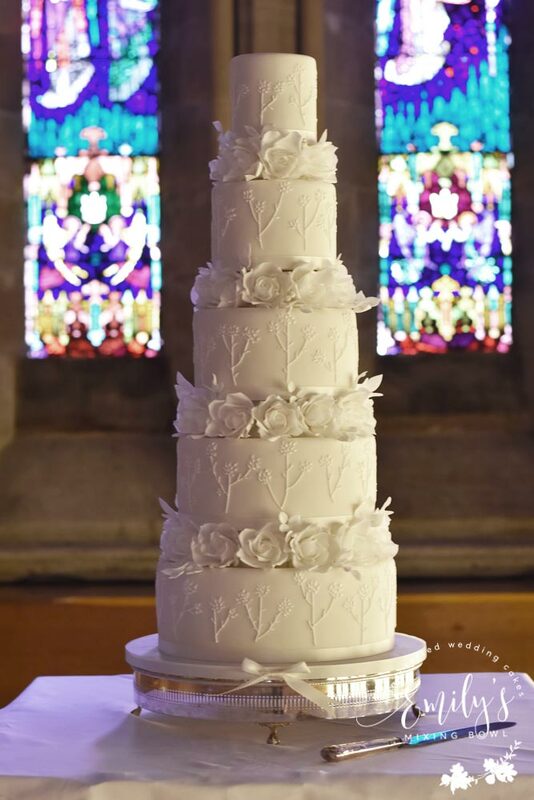 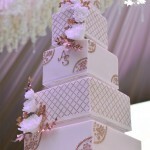 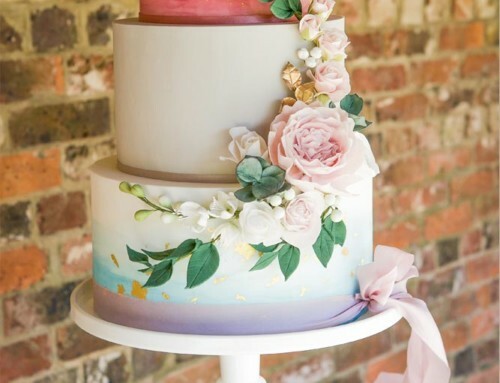 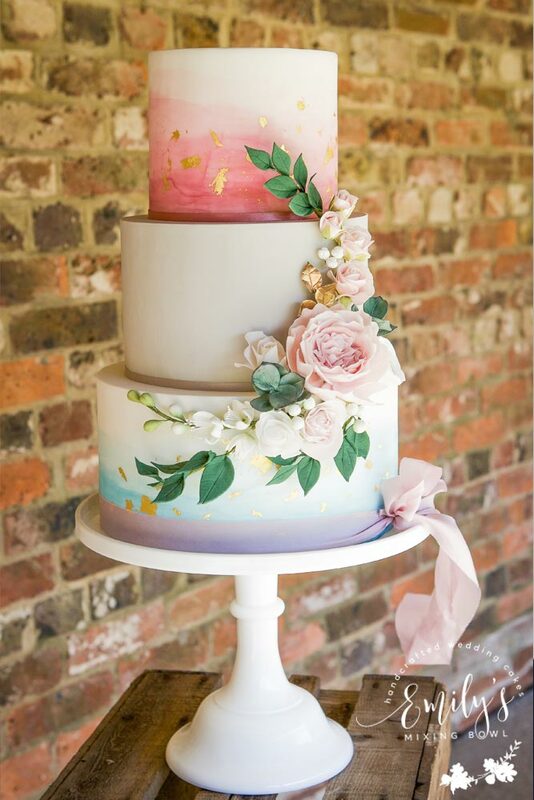 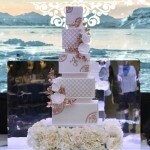 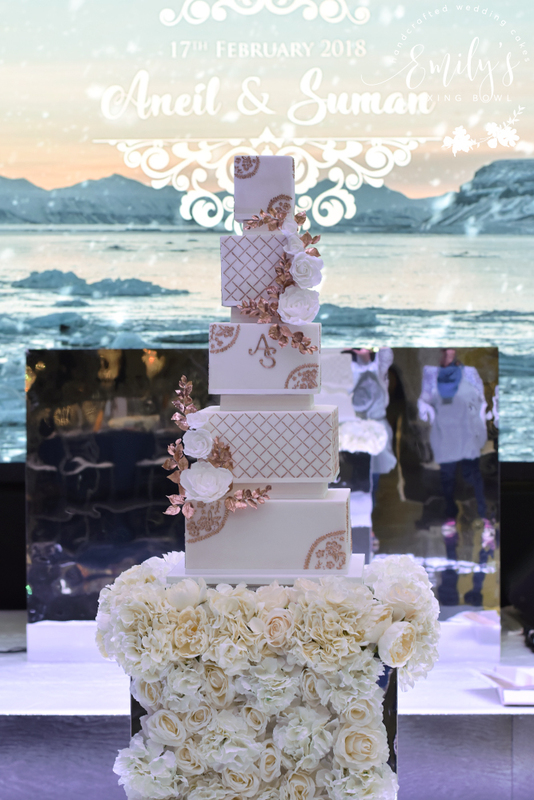 The 5 tiers of cake were adorned with handmade sugar flowers and gold gilded leaves. 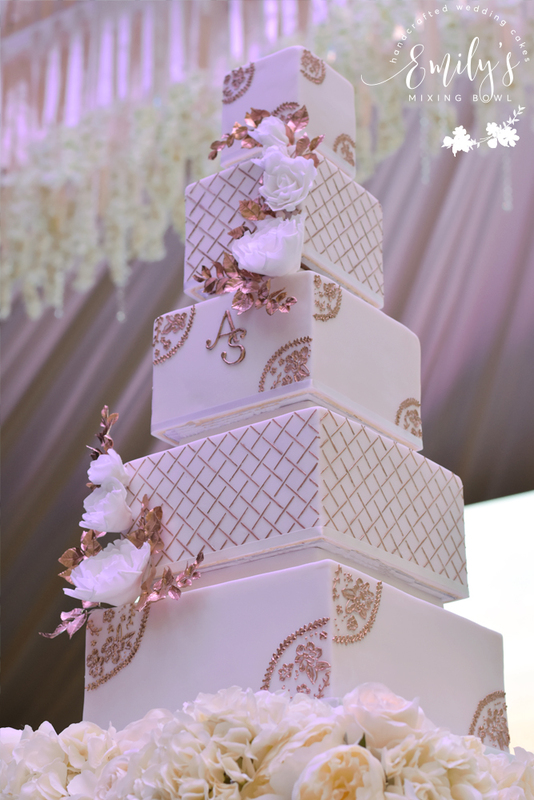 There were hand piped details on the corners of every other tier which were hand painted gold and lattice stencil on the alternating tiers. 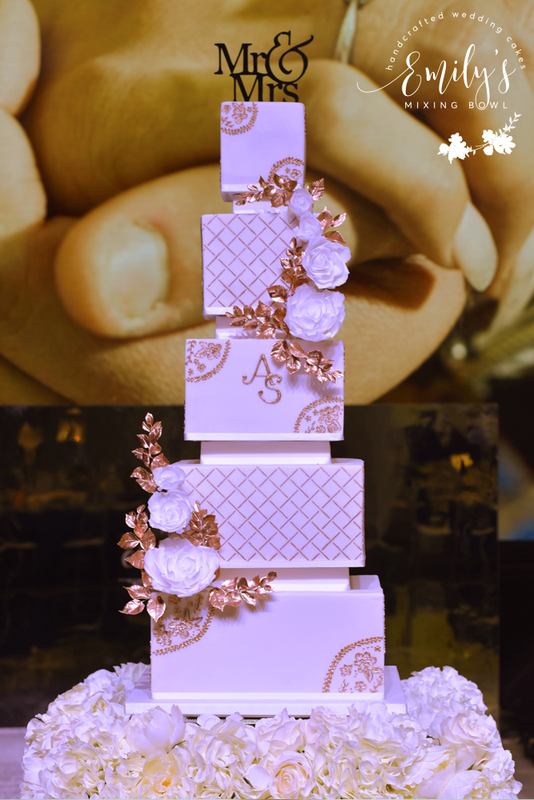 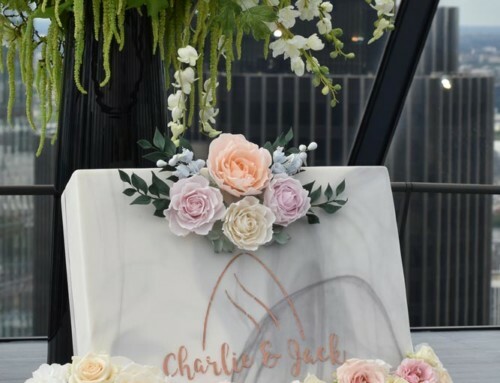 The cake was finished off with hand piped initials to match the couple’s wedding monogram.